What happened in December in the CBB House? Christmas and New Years have come and gone and now the bills are going to come piling in. Like many others December is a busy month for our budget although we do somewhat prepare for these expenses. We did go over in some categories like clothing for example where Mrs.CBB needed a new winter jacket and pair of winter boots. Both of which we were able to score for %50 off and they are a great quality product. Sometimes it’s worth waiting for those great boxing day sales in Canada. You can actually take that expense of $247.97 and double it and $495.94 would have been what we would have spent if not for the sales. Our gas was up slightly this month, not over budget but we spent more because we had to travel for the holidays. We also paid a bit more on the mortgage this month to make it an even $154,000 that is left to pay. Yes we have had the cash to pay that in full since last month. I’ll be talking more about this in the next little while. If you live in Ontario you know that the prices for your vehicle sticker have gone up. We had to pick up a plate sticker so we thought why make 2 trips so while we were there we picked up a sticker for our other vehicle for next year. I also picked up some items for work which is fine as I’ve hardly spent anything this year on work materials. 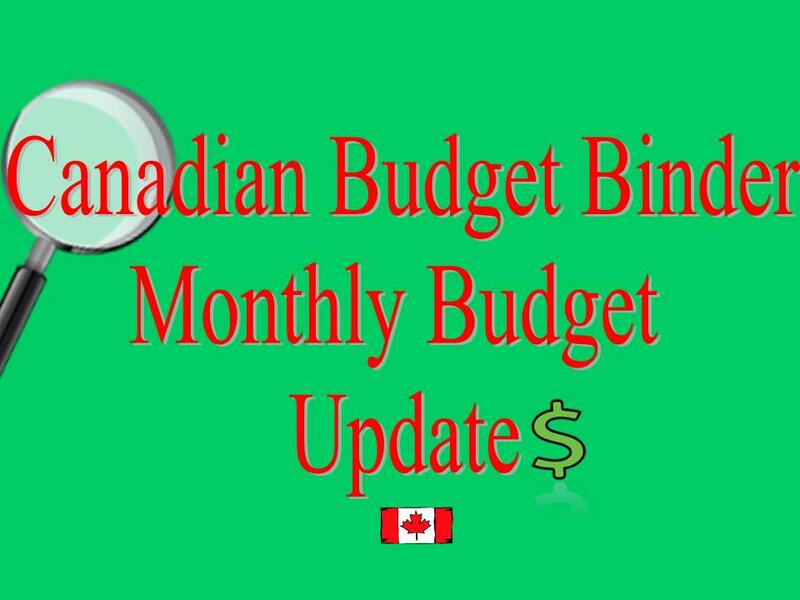 You won’t see many changes to the budget in December however I just posted adjustments we made to our Canadian Budget Binder 2013 Family Budget. While you are reading our 2013 family budget update don’t forget to enter to WIN $100 cash! You will see how we did in 2012 and what our new figures will be going into 2013. You will also read about why we made the changes to our budget. Grocery- $190.00 Spent $71.02 Play The Grocery Game With us to Save! Overall: We are happy with our December numbers. We are hoping with the budget changes for 2013 that we will make an even bigger difference come January 2014. Check in at the beginning of February 2013 to see how we made out in January 2013! 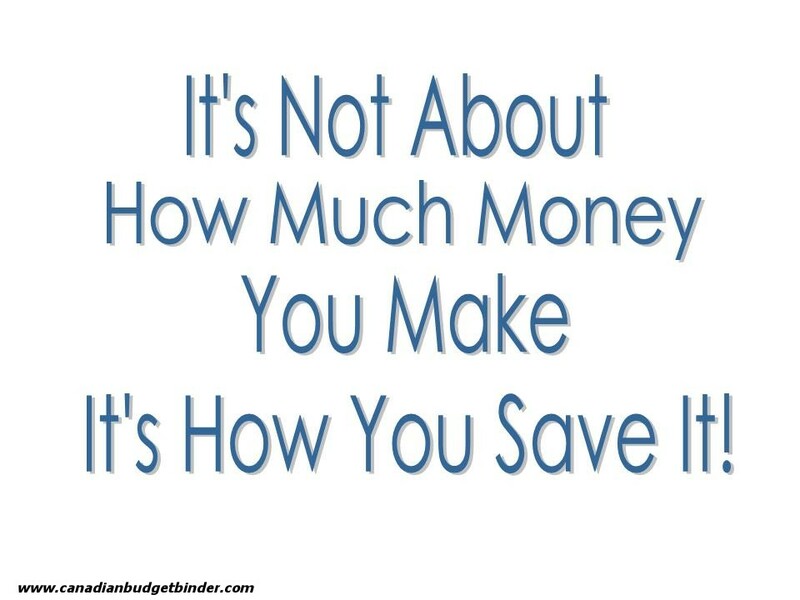 Question: Did you make any changes to your budget for January 2013? Would You Like To Guest Post for Canadian Budget Binder? Thanks for the information, I’m curious though, for people with experience in budgeting and money, why the lottery? Have you seen the odds on those things? You’re almost guaranteed to be throwing away money? No? True but you can’t win unless you play! It’s a personal choice. For 2013, we are just going to start keeping a closer eye on all of our spending. We have gotten slightly off track the last few months….not a big deal but it’s nothing that I want to get worse! ‘Refi’ on our house is approved: lower rates, drop from 30 years to 20. Next step: increase monthly amount paid in, reduce principle, ‘refi’ again if terms get better. That’s a good way to do it as long as you do the math and you are coming out ahead. I’d do it if I would have to do it all over again although I’d likely try my hand at a variable rate. I’m intrigued by your ability to pay off the mortgage in full. Looking forward to the explanation! Oh they can add up and that’s why I suggest people to think about all these expenses when making their budget because if there is not enough money in a certain category they will have to pull the cash from somewhere. You have a very detailed budget and seem to follow it well. I haven’t made any major changes to my budget for 2013 but will need to make some adjustments depending on the outcome of the “Fiscal Cliff”! Sweet! I love the entertainment expense (someone needs to get out more…..). The big change to my budget? Nearly $100 per month allocated toward a loss of income due to US payroll taxes going up. I haven’t look at my budget for January 2013 yet, that’s this weekend’s project. I know it’ll need some updating since my Christmas fund is no longer going to be in play. Hopefully I’ll be able to funnel some of that towards debt. Good luck this month! I’m in the process of going through that right now to make adjustments. I’m splitting hairs! So detailed. Good month overall :0) Looks like most of time you guys spending were either on or below the PE. I think taking advantage of sales despite going over budget makes sense because that just means you won’t have to buy them at full price later on. I have yet to look at my 2013 budget, but I’m sure some things will need to be changed. If we know we will use it and we know the prices which is very important we will load up like we did today. Folgers Coffee reg $12.99 sale $6.99- $1.00 coupons.. ya that’s a great price so we loaded up since the coupons are only good until April and the likelihood of that sale coming round again is slim. Another month gone and another month of dominating! You guys sure make saving money look easy! It’s not that bad we’re used to it now. Cheers Jason. Looks good as always Mr. CBB! I just finished rolling over our budget for 2013 last week. We really did not have any major changes. We’re upgrading my wife to a smartphone next week so we’ll have to allocate for that. Thankfully after budgeting for so long it becomes second nature. The key though is still keeping a watchful eye so as to avoid lifestyle inflation creep. That’s what I was just saying to Jason WSL… he says we make it looks easy. I just said it’s a lifestyle, we’re used to it now. A E test is an emissions test we have done on our vehicles depending on age. It’s gov’t regulated. Interesting that you could pay off all your mortgage and decide not to. I still have my UK mortgage because it is a rental and at 2.29% but was able to pay cash in Guatemala and wouldn’t change it for the world, even though I could probably make more money with other investments it is really cool to live in a paid for house. It’s not that we have decided not to it’s just that the money is not all here so it will take time to move it. That’s great you have a place in the UK still.. not worth selling now IMO.. my old house is now worth less than what the lady bought it for me from. Wow – I must admit I’d never make it on your clothing budget. 120 a year seems really, really low. I am game for shopping at thrift stores, but even then – I think you’d be pushing it. Do you find you can stick to that? We changed that for 2013 but we did pretty good until the end of the year as Mrs.CBB needed a jacket and winter boots. We don’t buy much unless we need it as I wear a uniform to work and we go to value village for pieces as well.